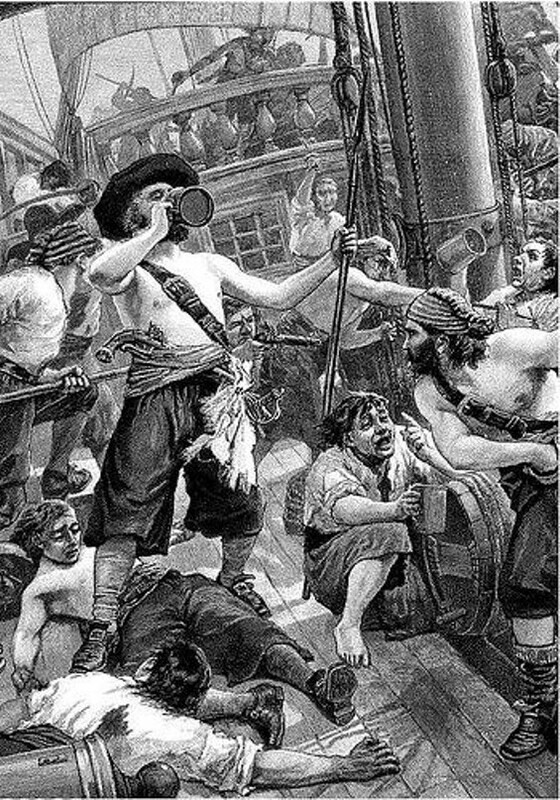 For most of us, our knowledge of smugglers in the 18th and 19th centuries comes from the stereotype we have seen on films and television. We picture the salty, pirate-looking smugglers sneaking into moonlit coves, muskets in their hands and ready to do battle with anybody who gets in their way. Of course, in some cases this was the case. However, my research has led me to understand that, in the main, it really was not as covert or as threatening as all of that. Smuggling at this time is also responsible for many of the phrases that we all blithely use every day without understanding the significance of the words or their original meanings. 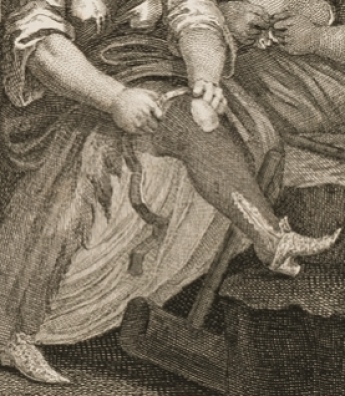 In order to raise money for numerous wars, against the French or rebellious American colonies to name but two, the British government levied taxes on all manner of household goods from windows to salt. In an economy where wages were painfully low, and a great majority of the population struggled to pay for food to put on the table, smuggled goods became a necessary evil and were largely untraceable once they entered the country. Shopkeepers and merchants happily sold smuggled goods and their customers were none the wiser. In fact, it is estimated that over three quarters of all of the tea drunk in England and Scotland at the end of the 18th century came into the country illegally on smuggling vessels from the continent. That meant that smuggling was a well-oiled operation, run by intelligent and savvy businessmen rather than coarse sailors and shady criminals we associate with it. The biggest challenge was evading the King’s Men–the nickname for the Customs and Excise officials–who could seize cargoes, impound boats, and transport those guilty of smuggling to Australia or hang them and display the bodies in gibbets as a warning to others. In reality, the chance of capture was minimal. The King’s Men were a ramshackle bunch who were largely based on land. As most smugglers entered our shores on manoeuvrable boats, it gave them a distinct advantage over the hapless excise men and their horses. 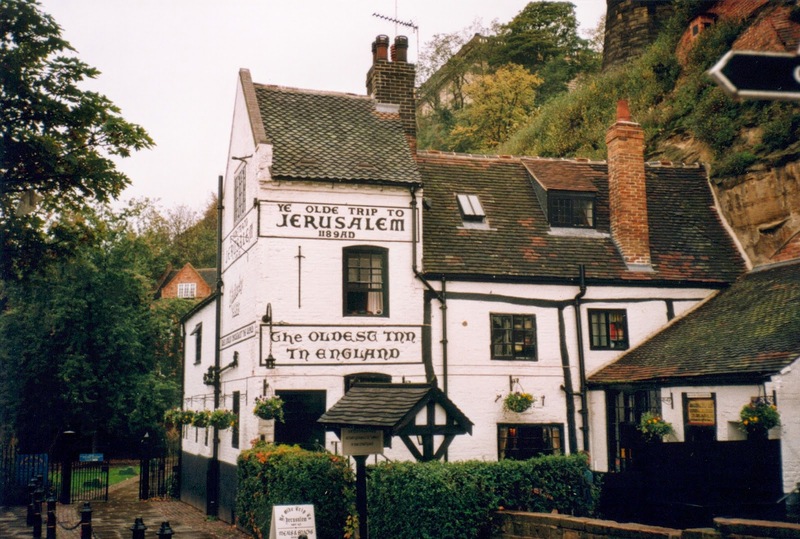 This was a time when drunks and n’er-do-wells were still PRESS-GANGED into the king’s navy after inadvertently drinking a mug of ale with a shilling hidden at the bottom. Once they had ‘accepted’ the king’s shilling they were forced to go to sea, so had precious little expertise of sailing, or more specifically, sailing in difficult conditions. They were no match for the smugglers. Smuggling vessels usually landed by night and preferred to operate during bad weather when there was even less chance of being caught. They were often painted black, with black sails, so that they were almost impossible to see in the dark. They did not have a specific landing place worked out in advance, merely a rough area of coast to head towards, and relied on conspirators on shore to guide them to a safe place. This was usually done by shining a light at the boat for it to follow. You need to bear in mind that street lighting was a newfangled, modern and expensive invention at this time. Very few places were lit after dark and those that were tended to be only the wealthier parts of cities or large towns. The villages that peppered the coast would have been plunged into complete darkness the moment the sun went down. One solitary lantern would stick out like a sore thumb in this gloomy landscape and would easily be enough to guide the ships safely to the shore on the spot where the waiting carts would carry the cargo away to safety. Unfortunately, one lantern on a pitch black stretch of beach would also alert the excise men as well. Therefore, the smugglers and those that helped them had to be resourceful. Instead of a constant light, the smugglers resorted to using a flash to let the boats know that the COAST WAS CLEAR. This could be achieved by striking a match or creating a spark from a tinderbox. A brighter signal could be achieved by using an old flintlock pistol. Those old guns relied on a gunpowder to fire the bullet. The powder would be placed in the pan and lit. The clever smugglers modified some of their pistols, removing the top chamber of the gun, so that when the powder was lit the subsequent explosion burned brightly for a split second–like a firework. This FLASH IN THE PAN would be over almost as soon as it started but would be bright enough for the boats looking for it to see clearly from many miles away. 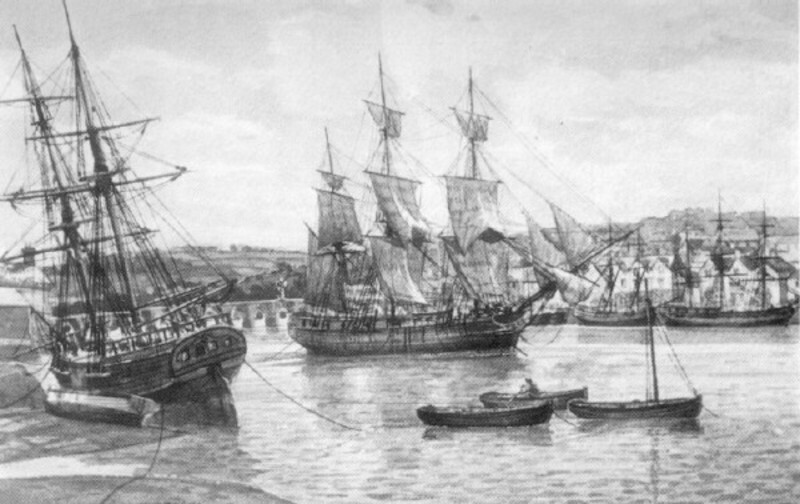 Once the boats came in to the shore, teams of people would be needed to quickly transport the illegal cargoes inland to be hidden, and later distributed. That meant that contraband, like gin or brandy, had to be packed into containers that were easy enough for one person to carry. 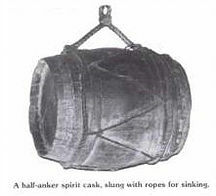 Specially adapted barrels (or tubs), called ankers were made expressly for this purpose so that a tubsman–the name given to the men to hauled the cargo up the beaches or cliffs to safety–could carry two barrels easily by draping the rope over his shoulders and hanging the pair of ankers on either side of his body. As one anker held just over 8 gallons of liquid, each tubsman had to carry an enormous weight, over a large distance very quickly. Sometimes these men even had to scramble over rocks or climb cliffs with such a heavy burden. One can only imagine how this weight slowed them down once they had PUT THE ANKERS ON.